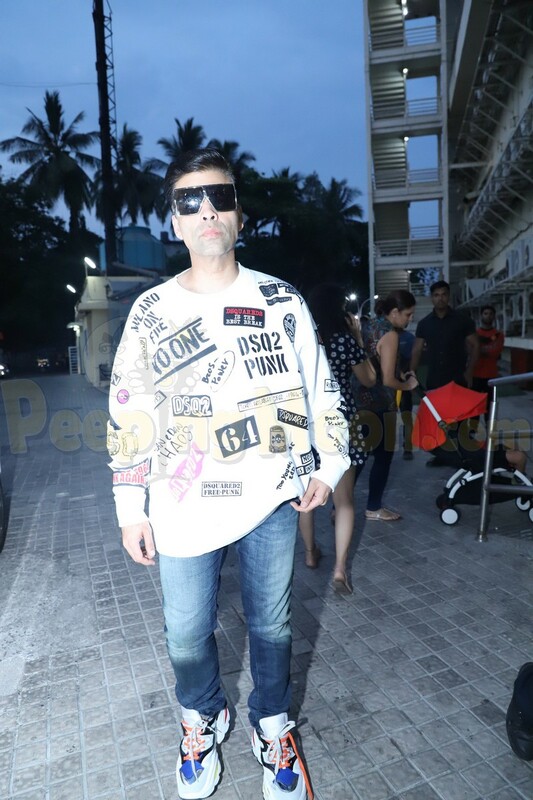 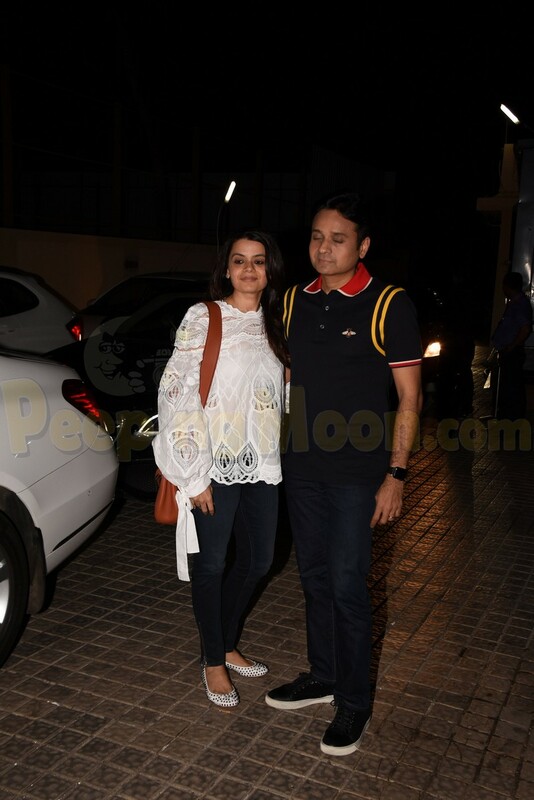 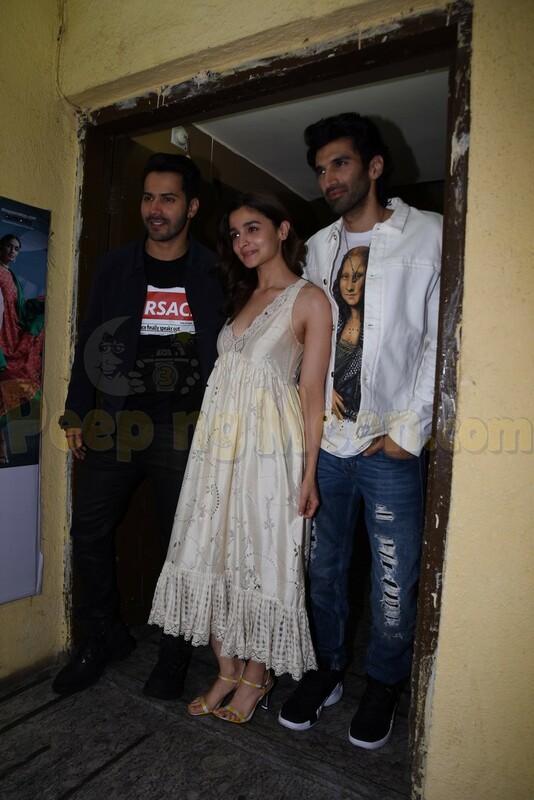 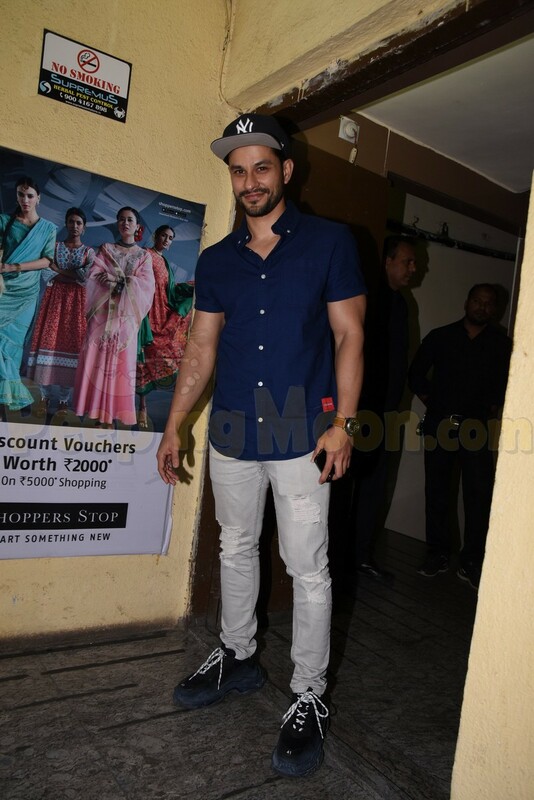 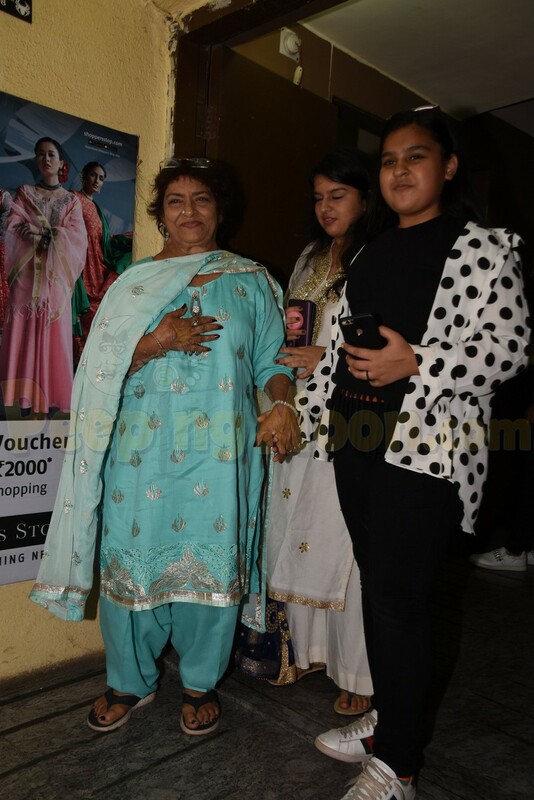 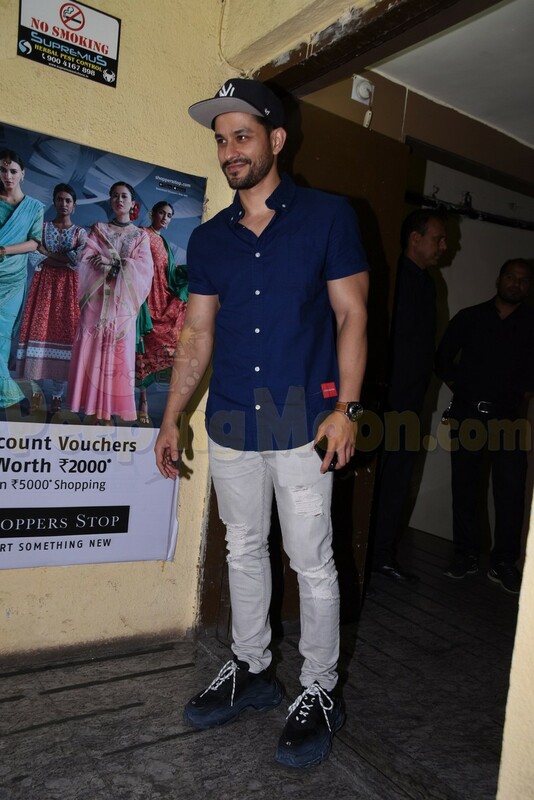 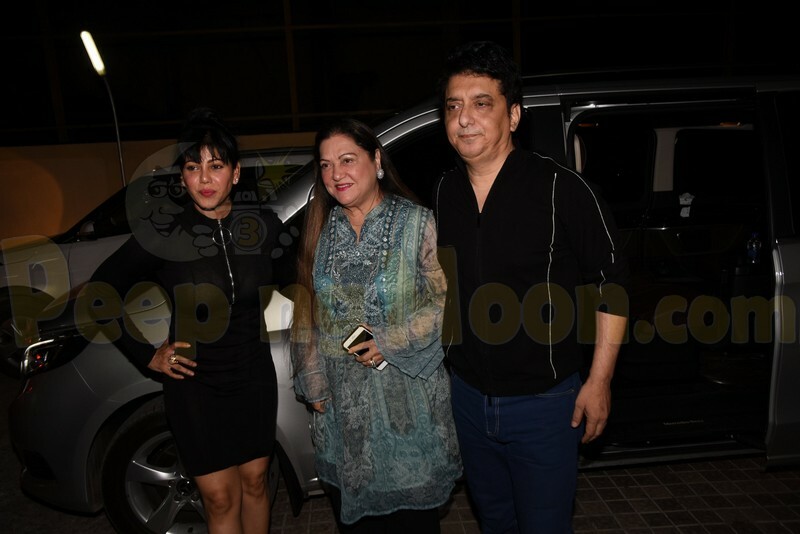 The makers of Abhishek Varman's upcoming film Kalank hosted a special screening last night and several celebrities including the star cast attended it. 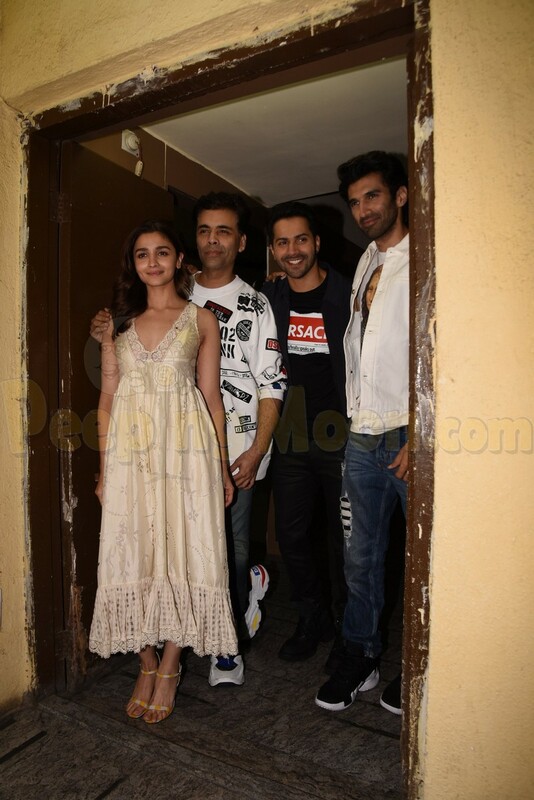 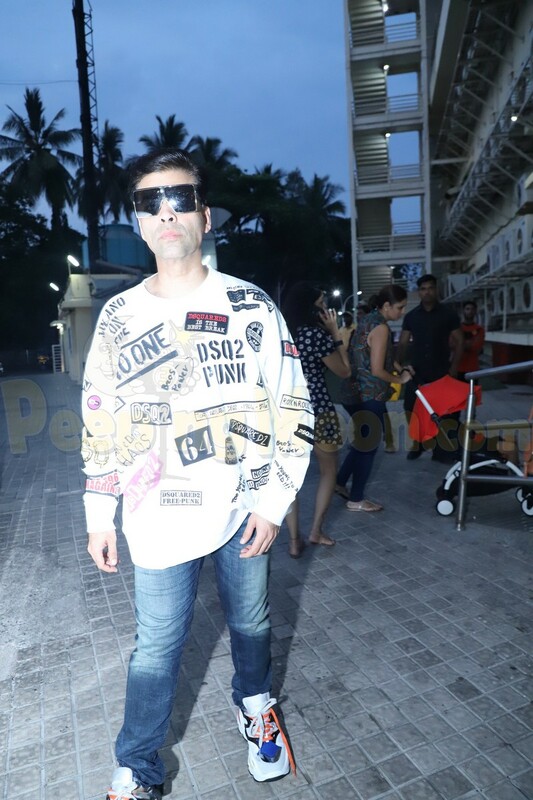 Our shutterbugs present at the multiplex spotted Varun Dhawan, Alia Bhatt, Karan Johar, Aditya Roy Kapur, Madhuri Dixit, Sonakshi Sinha and Kunal Kemmu. 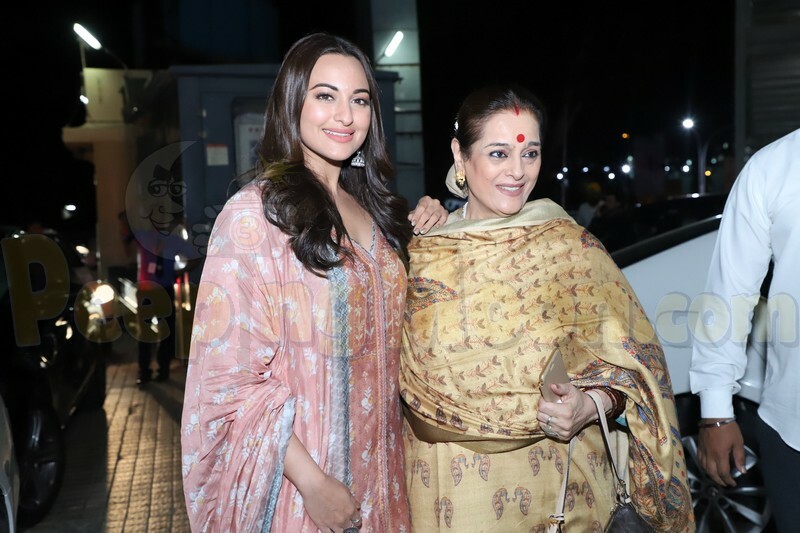 The film is slated to release on April 17. 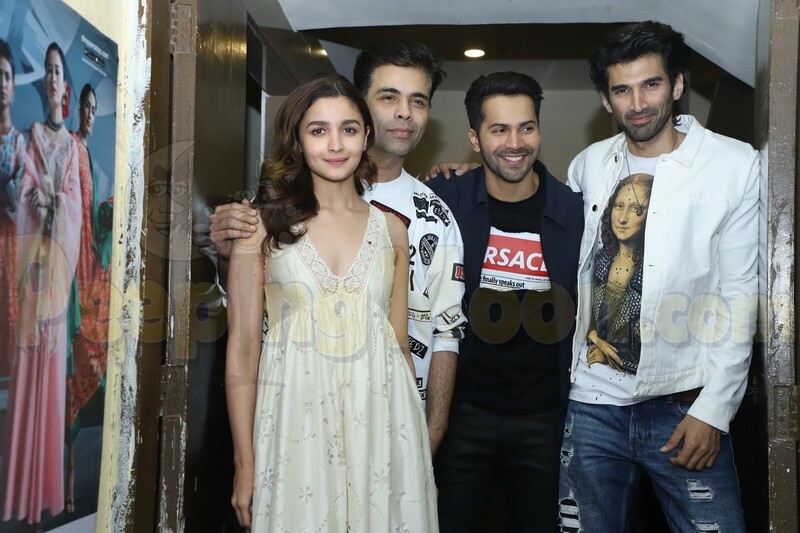 The star cast of Kalank was all smiles for the cameras as they attended the screening. 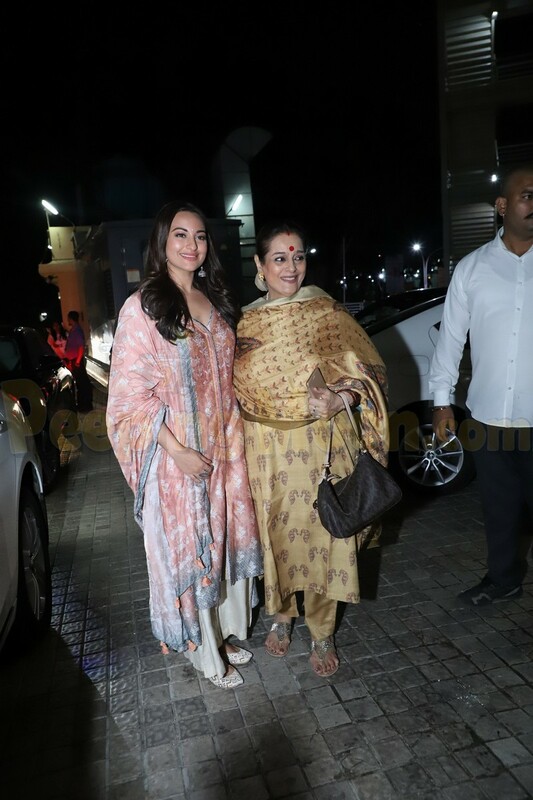 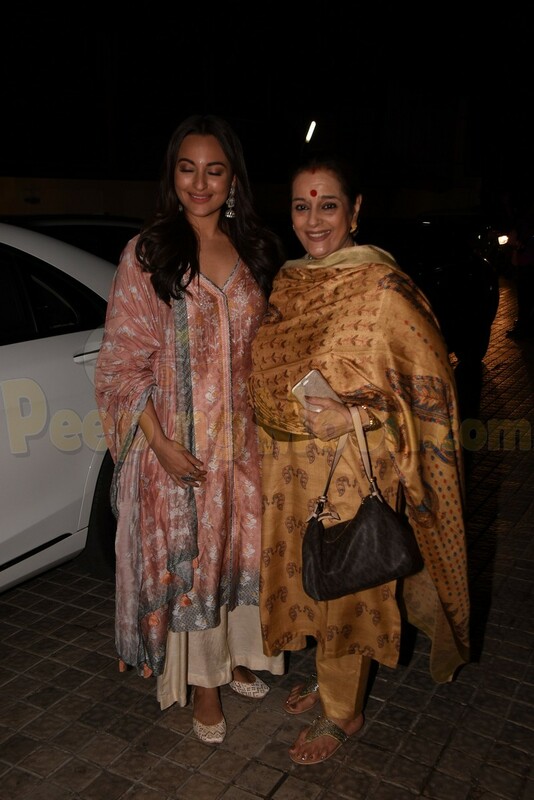 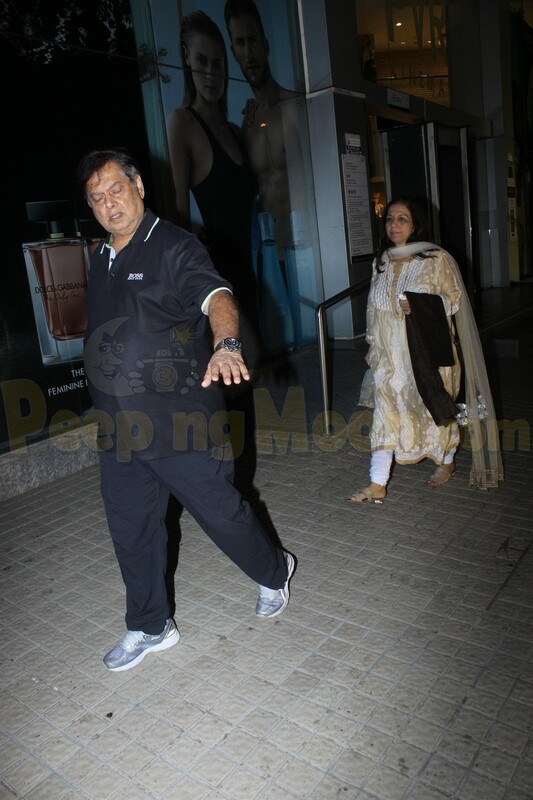 Sonakshi was accompanied by mother Poonam Sinha. 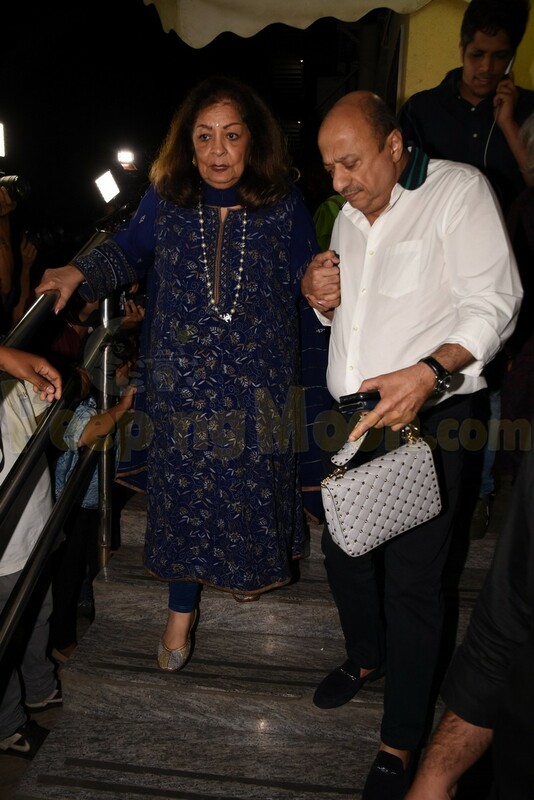 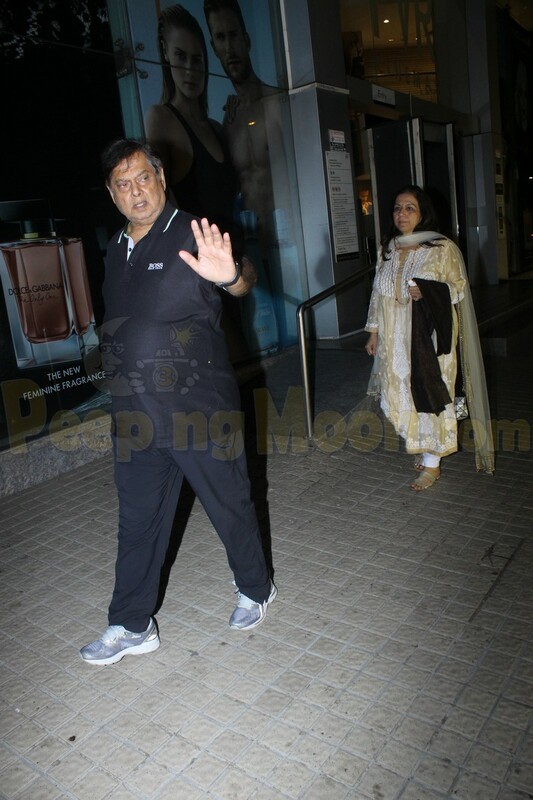 Varun's parents David Dhawan and Karuna Dhawan also arrived to watch their son's film. 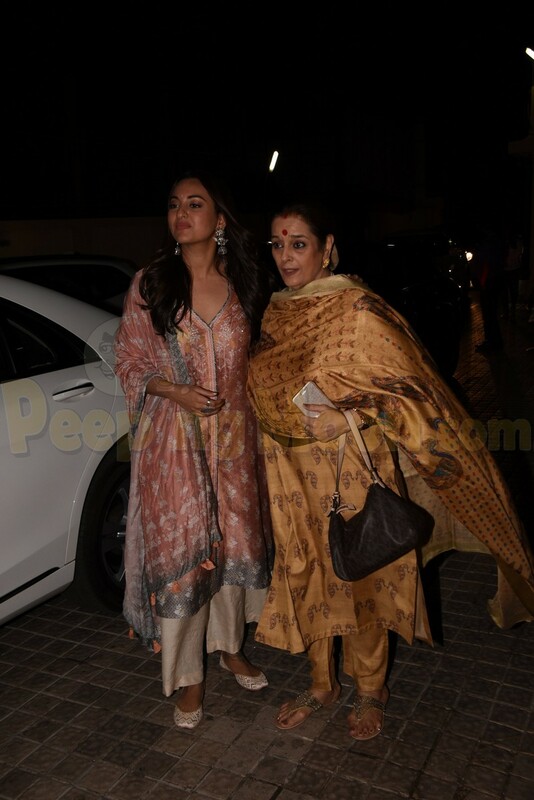 KJo's mother Hiroo also attended. 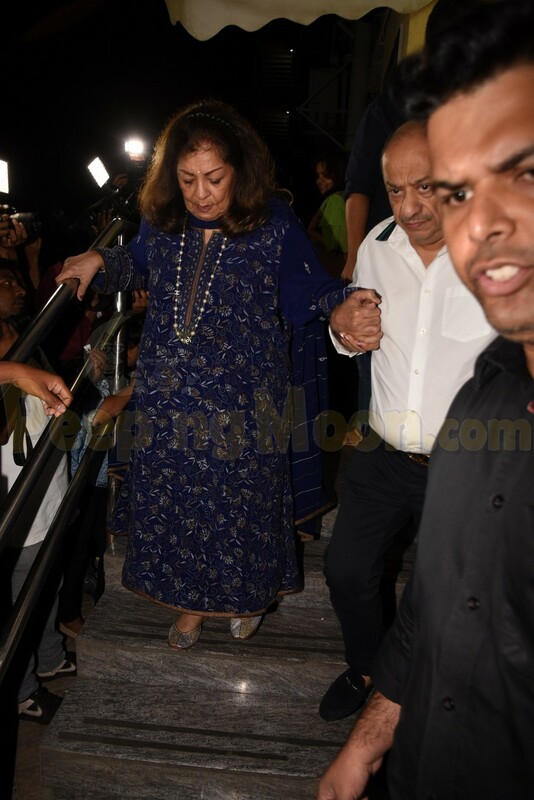 Other celebrities like Hiten Tejwani, Shashank Khaitan, Saroj Khan and Shweta Bachchan Nanda also attended.